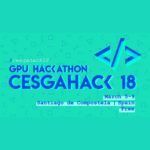 Appentra and CESGA are organizing a GPU Hackathon in Spain. 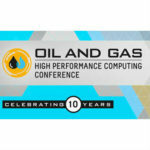 The event takes place May 29 – June 1 at the Galicia Supercomputing Center in Santiago de Compostela. The event is free, limited in capacity and in Spanish, with priority for national participants. Today Appentra Solutions announced that the company will participate in the Emerging Technologies Showcase at SC16. As an HPC startup, Appentra was selected for its Parallware technology, an LLVM-based software technology that assists in the parallelization of scientific codes with OpenMP and OpenACC. “The new Parallware Trainer is a great tool for providing support to parallel programmers on their daily work,” said Xavier Martorell, Parallel Programming Models Group Manager at Barcelona Supercomputing Center. Today Oak Ridge announced approval of a project run ParallelWare from Appentra on the Titan Supercomputer. The project includes an allocation of 50,000 core hours on supercomputer. “ParallelWare is an source-to-source parallelizing compiler for sequential scientific programs. ParallelWare automatically discovers the parallelism available int he input sequential C code, and automatically generates parallel-equivalent C code annotated with OpenMP compiler directives.